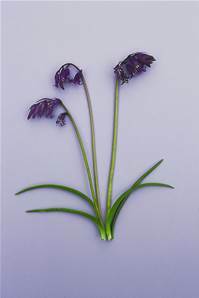 The true English Bluebell. 25-30cm tall perennial bulb of woodlands. Blue flowers April-May. Now a protected species, which we are growing from seed.